Ray Camero was born in Bronx, New York in the year 1940. He was the first born of three children and spent his first nine years between Tampa, Florida and New York. At the age of nine, Ray moved with his family to the San Fernando Valley. The day before his sixteenth birthday, his father looked at him and said, “Tomorrow, you’re going to be 16. I talked to a guy at Safeway, and he is going to give you a job.” At the time, Mr. Camero had no idea that this was going to be the catalyst to his 50-year career in transportation. Mr. C (as he would lovingly become known as by all who have worked for him) stayed with Safeway after high school working his way up to the produce manager position and eventually moved around from store to store to optimize the department. All the while, another produce manager by the name of Alan Desser, at a rival Safeway store was on the same track. Mr. C and Mr. Desser eventually built a relationship and it wasn’t long before Mr. Desser introduced Mr. C to the concept of a Shippers Association; Mr. Desser had learned about them from the flower deliveryman at Safeway. After much deliberation, in July of 1969, Mr. Desser and Mr. Camero had their three shippers, and they were in business as Streamline Shippers Association. Mr. C continued at Safeway and Streamline Shippers until Streamline received their first truckload from a company named Kern’s Jams & Jellies and a second, from a company named Lance Antenna in October of 1969. He quit Safeway and jumped wholeheartedly into Streamline. Throughout the next few years, they established longstanding partnerships with regional carriers through the United States and opened LACNY (Los Angeles, Chicago, and New York), a shippers agent, which allowed them to do business with the rails in Chicago. At this time, Mr. C began hiring owner operators to handle his local pickups and drays into the rail yard. This was the start of transitioning into the trucking business eventually handling all of their pickups and drop + pulls into the rail yard. 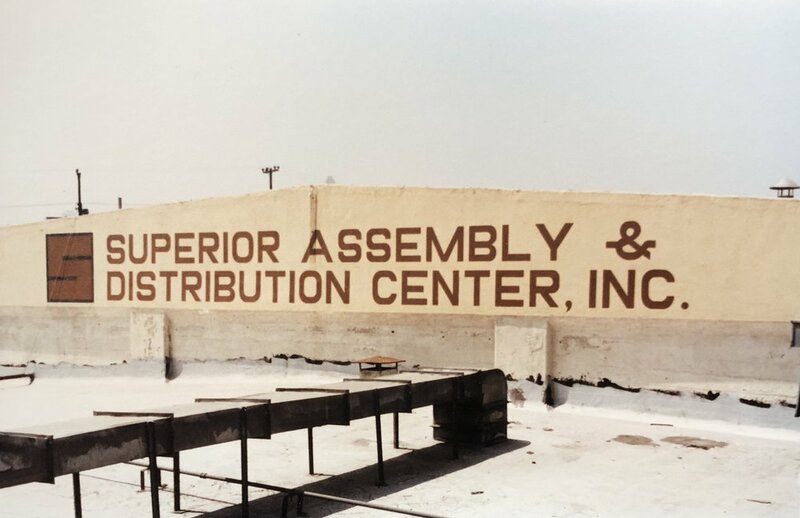 Finally, with the opening of Superior Assembly & Distribution in 1975, Mr. C became the west coast agent for several Midwest and east coast shippers associations and agents. Their formula for success was proving to be spot on, and when the time came for expansion, Mr. C went to the Santa Fe railroad and asked for more dock doors and was given 50 dock doors at Santa Fe’s location on 3rd and Santa Fe in Los Angeles. The Shipping Act of 1984 allowed for Shippers Associations to enter into the international business. Opening DeCheng in Taipei in 1985 was the beginning, and they continued on to then Hong Kong in 1986, Thailand and China in Dalian, Tianjin, Beijing, Shenzhen, and Shanghai in 1988. They went to establish partnerships in Korea, Japan, Singapore, Malaysia, Indonesia, Cambodia, and Vietnam. Streamline had made its way from its humble beginnings to over $100,000,000 in revenue per year. They were the 17th largest importer into the United States, up with the likes of General Motors and Ford. Mr. C was a standout in the industry, possessing an unmatched business acumen and propensity for problem-solving. He was a long time member of AISA (American Institute for Shippers Associations). Their goal was to represent shippers association in any government matter or against any ruling that may hurt shippers association. With AISA, Mr. C was called to testify before the FMC in San Francisco and several times called into hearings in Washington, D.C. throughout his career, there were countless articles written about him and his journey. Mr. C created the Streamline Family and the legacy that continues today. Mr C. has passed on his passion and vision for helping customers to his children. Streamline Shippers is now run by Clay and Cassidy, who bring their father’s beliefs, accomplishments and passion to the company. It was important to Mr. C to pass on his legacy and ensure continued support to the many clients Streamline Shippers has had for 50+ years.